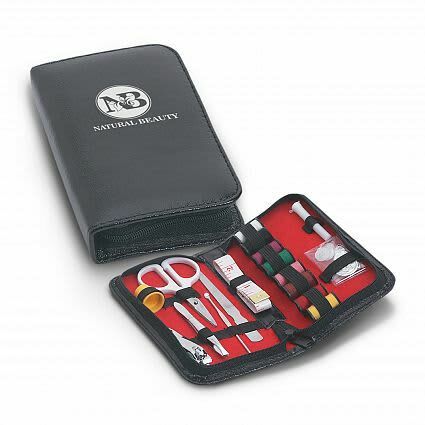 Deluxe combination sewing and manicure kit in a smart leather-look case with a zip closure. 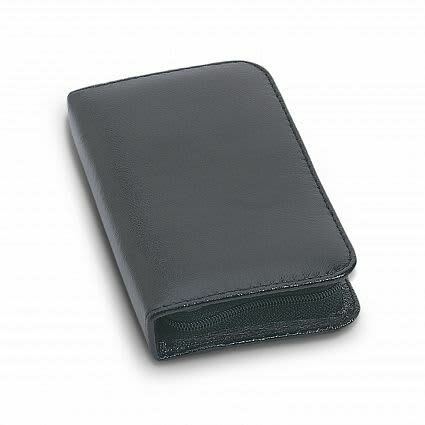 The contents include eight rolls of different coloured thread, a needle threader, five needles in a tube, two safety pins, four buttons, a cloth measuring tape, a stainless steel nail file, a cuticle pusher, tweezers, scissors, a nail clipper, and a plastic thimble. W 76mm x H 140mm. Screen Print 51mm x 76mm (one colour).